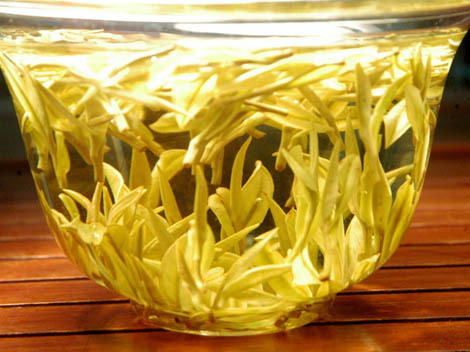 The white tea is one of the six major tea categories in China, and Anji white tea is a new breed among famous teas in Zhejiang Province. 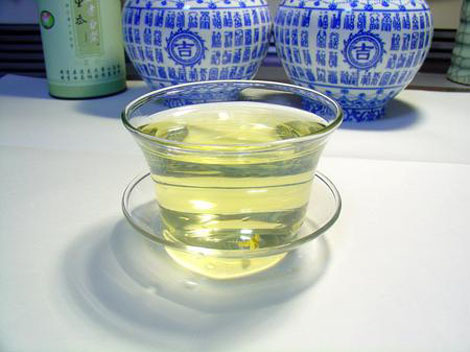 However, as a product of green tea processing technology, Anji white tea is actually green tea in white color, with its raw materials being white young leaves of a certain tea plant. Located in northern Zhejiang Province, the Anji County is a famous hometown of bamboos in China embraced by mountains and streams. Ever since 1982, when the local people accidentally found an ancient white tea plant in a valley, the Anji white tea has gradually been known and developed by people. It is a rare variety among tea plants, and the color of its leaf buds can change with the seasons: grey before the Tomb-sweeping Day, which will turn green at the Grain Rain Day (Apr.19, 20 or 21) until totally green. 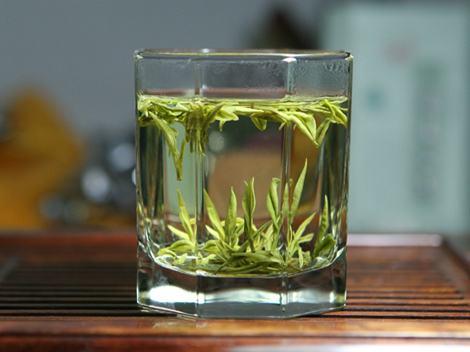 The Anji white tea has a short harvest time lasting about one month, which makes it even rarer. 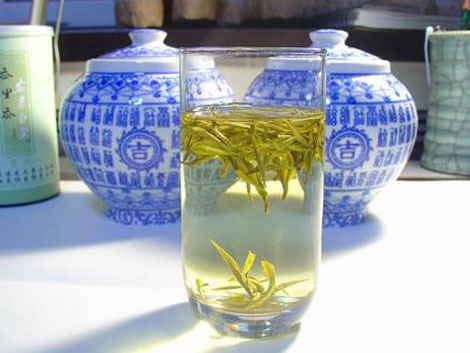 We have mentioned that it is actually a kind of green tea since it’s the white tea leaves made out of the green tea processing techniques. Upon spreading the new leaves out for four or five hours and de-enzyming according to a certain temperature and time, then comes the trimming and drying processes. When new Anji white tea is steeped, it features green stem and white leaves, as well as light yellow tea liquid giving out a fresh and strongly fragrant aroma. Yes, the tea is exquisite as well. Very delicate and reminiscent of green bamboo in flavor and scent.